The Dakota Access pipeline developer said Monday that it has placed oil in the pipeline under a Missouri River reservoir in North Dakota and that it's preparing to put the pipeline into service. Dallas-based Energy Transfer Partners made the announcement in a brief court filing with the U.S. District Court for the District of Columbia. The announcement marks a significant development in the long battle over the project that will move North Dakota oil 2,000 miles through South Dakota and Iowa to a shipping point in Illinois. 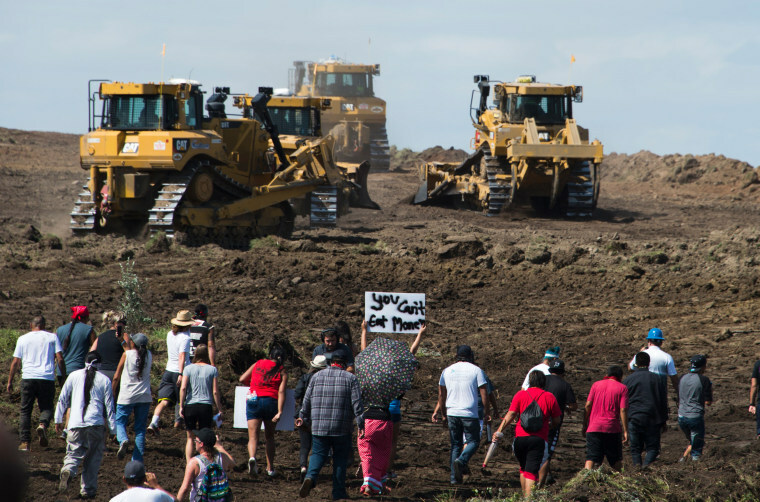 The pipeline is three months behind schedule due to large protests and the objections of two American Indian tribes who say it threatens their water supply and cultural sites. ETP's filing did not say when the company expected the pipeline to be completely operating, and a spokeswoman did not immediately return an email seeking additional details.